Emergencies require fast action – and this is exactly what we provide at Scarborough Towing Team! Our 24/7 emergency roadside assistance can help you to reach your destination whether you’re stuck on the road at night or in the wee hours of the morning. We make use of a sophisticated dispatch system for our towing service for your optimum satisfaction. You can never tell when or where a car emergency will happen. But one thing’s certain – it’s almost usually when you least expect it. 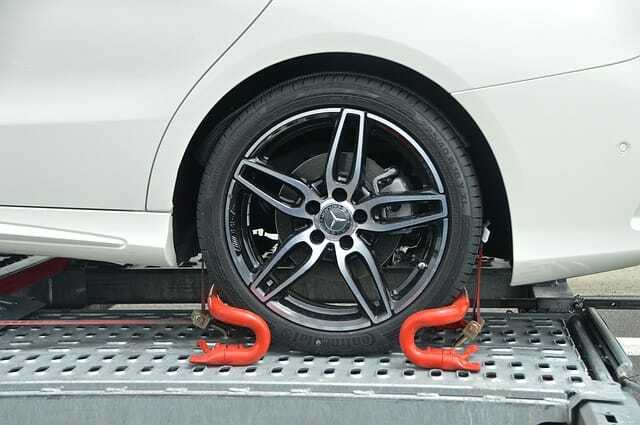 This is why it helps to have an easy access to an emergency towing service Scarborough motorists trust. At Scarborough Towing Team, you are guaranteed of the quickest and most dependable service anytime and anywhere. Why are we the best Tow Trucks Scarborough Company? We have been in the towing service business for 17 years – and counting. The length of time we have spent in the business equips us with the high level of expertise in helping clients with their towing needs. In fact, we have encountered hundreds of towing situations throughout our years in this field, so we know how to handle each one best. Whether it is a tire issue, battery concern, or perhaps a problem requiring an immediate trip to the repair shop, we can do them all. Our tow trucks are on standby and ready to go to your location. All you have to do is call! Our team caters to a number of locations in and around Scarborough including neighboring cities like Aurora, Richmond Hill, Markham, Toronto, Thornhill, North York, and East York. If you happen to be in any of these locations, then you are in luck. Simply call Scarborough Towing Team for an immediate assistance you can count on. We never let our clients wait, so you can expect your vehicle to be on its way to the repair shop or back on the road quickly. Do you find yourself stuck in the middle of nowhere in the wee hours of the morning? Or perhaps your car wouldn’t budge, and you’re barely near your destination? No need to worry. Scarborough towing Team is only a phone call away! We operate daily, no holidays and weekends. You can call us late at night or very early in the morning, and we’ll be right there to help you. It is never easy experiencing an engine failure, a flat tire or worse, so we never make our clients wait. This is how we show our respect for your time and our way of keeping you at the top of our priority list. Just a few minutes is all it takes to get you going again. Our dispatch system is stationed in strategic locations in Scarborough for a prompt roadside emergency towing you require. It could be a deserted road, rush hour traffic, or just about any place where you’re stuck. But no worries – we’re here to save the day! Scarborough Towing Team is a full-service professional towing company. We have high quality tow trucks with all the necessary equipment and tools to get you out of roadside emergencies fast! Call us at 647-557-6720 today, and you can expect us to be there without delay.